I have a new game I'd like to play with all you guys and gals out there. SO, what's the game I hear you ask. Well, I post a pic and you have to guess and then draw the histogram that it would represent. After we've had a decent number of guesses then I'll post up the actual histogram for all to see and discuss. I'm afraid you will have to do some of the heavy lifting as you will need to draw the actual histogram and then upload it as an image here in the thread. Can you do that? Just do it in paint or whatever, don't make it a work of art for the tate gallery. OK, here is the first image to start us off. Here's my best try... I'm not very good at drawing in paint. not too many deep blacks, but lots in the "darks", not much of the mids and then a spike at "pure white"(I think my far right side should be a little skinnier). Nice first attempt! Glad someone tried. Now Zubbuz you have no excuse histogram are essential for us photographers to understand. Black on left, white on right and the amplitude is the amount of that colour/shade if grey. OK lets arbitrarily (no units just numbers for the sake of a question) say the far left is 0 and the far right is 100 (ie <0=underexposed and clipped; >100=overexposed and clipped), therefore we are left with approximately 100 'brightness' values. 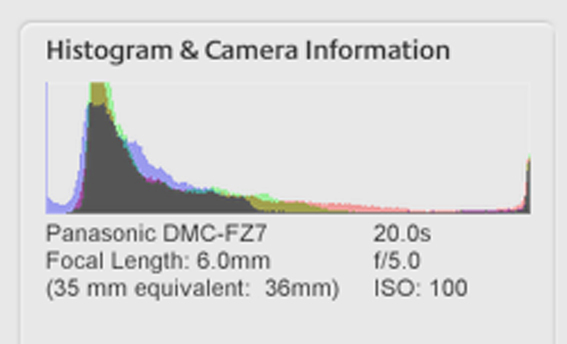 is the histogram effectively just showing how many pixels essentially are at each of those brightness value points? Cool idea. I gave it a go in a really crude way but I think you will all get what I am saying here. I was hoping a few more would take part but I think that many out there may have looked and guessed but not bothered to post up a drawing of one. So its time to share the histogram for all. I think drzenitram was almost spot on. Well done! We could just describe the histogram instead of the effort of drawing one? I really thought this would have been right up Andy Civil's street. OR was it too easy for you Andy? Yep I am up for another.